Picture if you will, just for a moment, the idea that your enterprise applications system is like an iceberg. There are the system costs that you can see. Then there are the costs below the water line, those that you can't quite see. Well, at least those nobody talks about when selling you an enterprise system. While SaaS is suitable for a lot of businesses, there are cases where it is better to be in house. 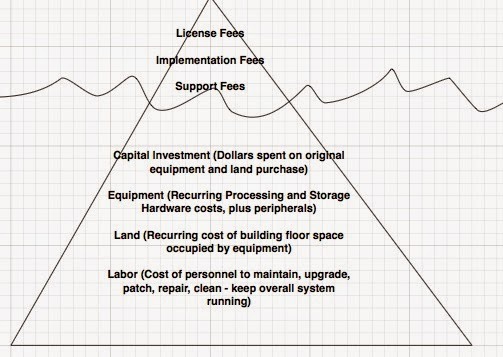 If the functionality needed affects large parts of the business in a critical way, and the business is big and has high revenue, and the Saas Subscription is high, then it may be better to deploy inhouse (large parts of the cost can be a Capital Expenditure) to reduce the revenue expenditure of the SaaS. And that RevEx reduction drops straight to the profit line in the accounts. Or you need to by hyperinnovative and do a lot of in house development. As a related example, did you know that London Underground runs their own power station (has done for many years), partly for cost, partly for resilience, with the normal power grid as the backup. Recently renewed but switched approach to focus more on resiliency (and selling excess power back to the normal power grid), and is looking to do more with waste heat. Hey Miles! Hope all is well with you! You are correct. 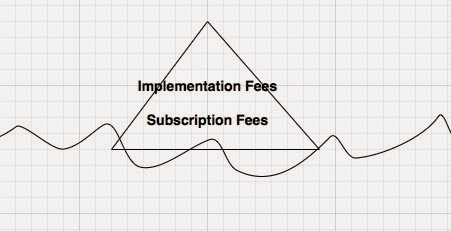 The pricing model must be viable or the financial benefits of SaaS vaporize. So far as hyper innovative, I'm seeing evidence from customers suggesting that the cloud service model (SaaS, PaaS, IaaS) actually supports such effort better than on premise. Ditto for reliability, resilience and efficiency. However, as you point out, each customer's mileage may vary according to their needs. Going SaaS is a choice that should be made in a thoughtful manner.